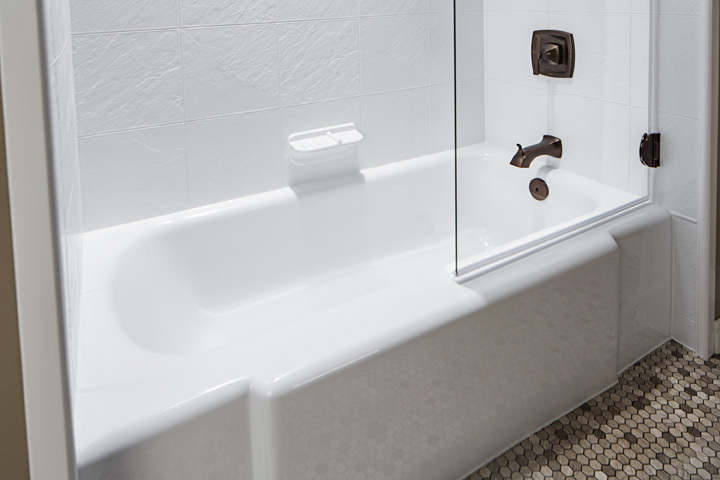 Skip the difficult bath remodeling process—BATH FITTER offers beautiful acrylic bathtubs and bathtub liners that go beyond ordinary bathtub resurfacing. Our custom-made tub liners aren’t just a temporary solution, either. You’ll get top-notch acrylic bathtubs and tub surrounds with a lifetime warranty, valid for as long as you own your home! Our warranty is subject to certain limitations. See location for details. Our bathtub enclosures and tub liners breathe new life into tired bathrooms by offering a new acrylic surface that’s molded to fit your existing bathtub and shower surround. With BATH FITTER, your old bath area can be transformed into a modern-day work of art in as little as one day. Start designing your new bathroom here, or schedule a free in-home consultation today. for more information about our products.